Fair trade shoes. How often do we hear this in today’s world of fast fashion? Not enough, but it’s not non-existent. In fact, whether it is shoes, clothes or accessories, a lot of companies are moving away from using leather or other materials that are derived by torturing and killing animals and destroying the earth in the name of fashion. If you are into fashion, you would have heard Versace’s recent statement about giving up animal leather and real fur – which were its bestsellers. While we are glad that big brands are setting examples, there’s more to sustainable shoes than just leather. 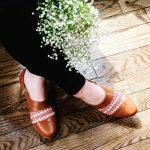 Fair trade, ethical, and sustainable shoemaking is an end-to-end process of making sure that you are not exploiting resources of any kind in the process of getting those dream shoes. If you have been on the lookout for these, or want to know what your options are, you’ve come to the right place. Stella McCartney opted for sustainability even before it was a thing. Ironically, this should have been a priority for brands anyway, but sadly, it wasn’t. 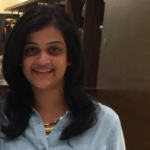 Luckily, we have some pioneers to look up to in the luxury brand segment. However, being the brand that it is, Stella McCartney never compromised or had to give up on style for resorting to ethical standards. And, the best part about this brand is, while most customers turn to Stella McCartney for its sustainability, a lot of its loyal customers do not even know that their apparel, shoes, and accessories are not made of real fur, leather or wool. Veja thinks that the world needs to move towards sustainable, eco-friendly, and environment-friendly clothing, and considering the kind of carbon footprint we collectively continue to leave on this planet, that still isn’t enough. Veja thinks that fashion world is always more talk less action, and that’s what compelled it to do its bit. All its shoes are made in Brazil and France, and are in compliance with the International Labour Laws. Its rubber is procured at premium prices from the Amazonian forest to ensure a sustainable living for families who make a living out of it; its cotton is sourced from organic co-operative groups. All of this without compromising on the style. ‘Veerah’ – derived from Sanskrit, meaning ‘warrior’ – is a brand started by a bunch of women who believe in the sustainability cause in the truest sense, and they believe that the world needs more of this. They source their materials from cruelty-free channels. This is also one of the fewer brands that make it possible for shoes to be created with interchangeable and removable soles, which means each pair can be fixed and reused several times, thereby reducing the footprint we leave. That’s just the extent of sustainability some brands believe in, and the world needs more of them. When there are brands opening stores at lightning speed at throwaway prices, brands like Nisolo are trying to push forward the idea of sustainability with exceptional design, quality, and most importantly, saving the planet one shoe at a time. They genuinely believe in the cause of sustainability, and that our style and personality should be more than just about cheap and inexpensive apparel, shoes, etc. 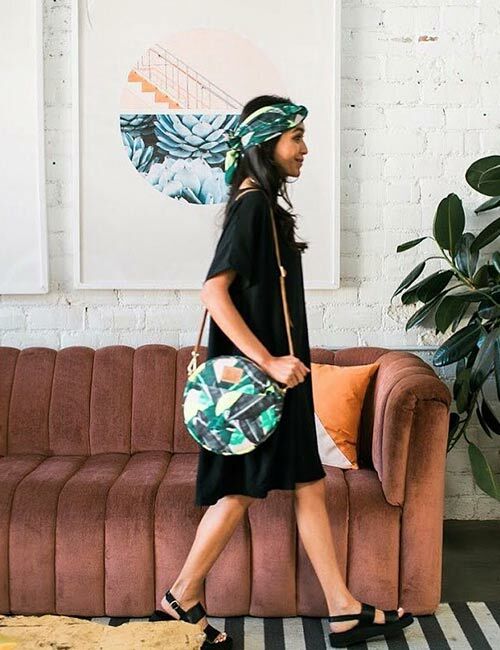 There are no middlemen involved, and everything you pay reaches the makers of Peru, which is the third largest shoe-manufacturer in the world providing healthcare, fair wages, and safe working spaces. All kinds of production methods they choose not only meets but exceeds the expectations of fair trade and ethical manufacturing standards. The name Matt and Natt has been derived from ‘Materials and Nature’, which are what surround us, and that’s where the idea stems from. It takes inspiration from nature, its colors and resources; the idea is to create designs that are all understated and beautiful. They should completely protect the environment and the people involved at every step of the way. If you take a look at its collection, you will realize it’s quite surreal. Whether it is recycling or using new materials, Matt & Nat is continually going up the learning and design curve. Toms is a company that was started by Blake Mycoskie, who realized that people, especially kids in Argentina, have no shoes to wear. Thus began the effort to manufacture shoes, loafers, combat boots, etc. via ethical methods. This is deeply rooted in its one-on-one business model, which means with every purchase one kid is provided with shoes to wear. It has provided over 60 million pairs of shoes so far, and continues to help uplift communities in Africa and other countries. Indosole was started by Kyle Parsons from California, who started this company to address a specific but a huge problem that is causing pollution in the world, and for centuries now – tires. It is almost impossible for tires to decompose, and thus the idea occurred when he thought about how even the first tire made is still around in the universe. Third world countries use rubber and tires as combustible fuel for fire, etc., which is extremely dangerous for the environment and their health too. Thus, the idea of making shoes with soles made out of a recycled tire came into place. The idea started from Kyle’s purchase of such shoes from his first trip to Bali, and he was drawn to this beautiful country. He went back to start his company, making shoes from tires. What an incredible story! Sseko is a clothing company based in Uganda that helps local women and girls who would have otherwise dropped out of college because of lack of resources. Every piece that is made is sourced using ethical leather; in addition to that, every pair sold helps a girl make it to college. They employ women who need financial help, and enable them to make money and be independent. Sseko also lets women in the US sell their products and in turn help women from East Africa. So, buying shoes from brands like this means someone somewhere remains in school. Sustainability, minimalism, muted undertones, neutral palette, ethical trade, fair production values, locally sourced leather, renewable, recyclable woods, etc. are the peripherals that comprise the ecosystem of Coclico. Slow fashion in the real sense. It is a family-run business of its founder, who is originally from Spain, but now a New Yorker who set up the headquarters there. However, he continues designing and production in Spain. Buying from brands like these is a matter of pride – that no luxury brand ever gives you. Mamahuhu started off when Luis Moreno traveled to Bogota and was moved by a small shoemaking artisan who got laid off because the mass production unit moved to Asia. She realized that there is pure talent in places we do not realize, and worked with him to make some handmade shoes that were made to perfection. 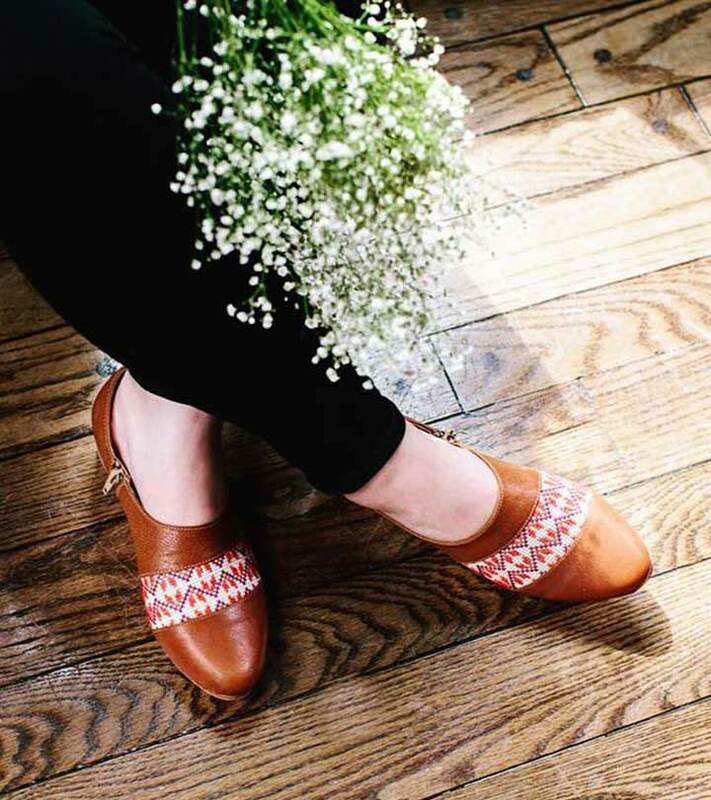 Every pair of shoes that are made by Mamahuhu is stylish but ethically made. Apart from being ethical in its practices, the brand helps artisans improve their skills by signing them up for workshops, etc. and eventually helping them become entrepreneurs. If you have been considering moving to fair trade shoes, and anything ethical, sustainable, etc., that’s the way to go. It’s easier than you think, and one pair, even if it’s expensive, will go a long way. Most importantly, you are doing a good deed at a scale that’s way higher than you imagine. What are your go-to brands for shoe-shopping – that fall under the purview of fair trade, of course? Let us know by dropping in a text in the comments section below.